AVGD: Do You Believe That Nintendo Has One More Surprise For Us Regarding The Year of Luigi? One Last Hurrah For Luigi? There are almost 3 months left in the year which is alot considering all of the confirmed year of Luigi content has already been released so will there be any more on the way such as DLC or a new game? Let's talk about that later in this discussion. First let's take a look at what has already been released in celebration of this year! 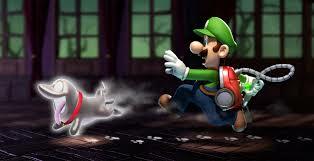 Luigi's Mansion: Dark Moon was released on March 24th in North America and was a full-length game starring Luigi! The game was a sequel of the GCN title Luigi's Mansion and though the game plays similarly to its predecessor it has much more content including many new mansions "The original title only had one to explore". New enemies and gameplay elements along with multiplayer were added to this amazing Luigi title making it a perfect title to purchase in celebration of The Year of Luigi! 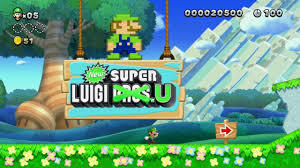 New Super Luigi U is DLC for New Super Mario Bros. U that was released in North America on June 20th of 2013! The game adds new much more difficult levels to New Super Mario Bros. U and replaces Mario with his brother Luigi! This DLC features some of the most difficult levels in 2D Mario titles to date making it a great way to entertain yourself if you like challenging games for this year of celebration! 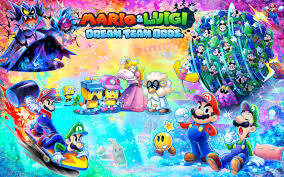 The fourth game in the Mario And Luigi RPG series, Mario And Luigi: Dream Team was released in North America on August 11th of 2013 and used Luigi as sort of a super power in the game, since the game literally takes place in Luigi's dreams he has unbelievable dream-like powers and can control the game's very world! Now with still two months and twenty four days left in the year it seems rather odd that the celebration would be over already so let's take a like at a few possibilities for potential surprise games or DLC! With Halloween just around the corner and with the US retailer Newegg listing the game on their website what better way could Nintendo surprise their consumers than by porting Luigi's spooky adventure to the Wii U? Another good idea we thought could be an announcement of a Paper Luigi game that allows you to experience the epic adventure Luigi went on during Paper Mario: The Thousand Year Door (GCN) Along with his unfortunate partners to delve further into the epic adventure that we know very little about! 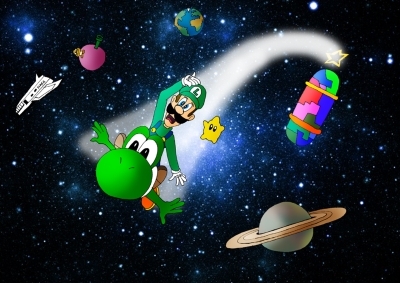 Let's face it Nintendo fans want more Super Mario Galaxy, so why not celebrate The Year of Luigi by announcing Super Luigi Galaxy for the Wii U complete with all new power-ups and galaxies and an all-new story to finish off the celebration of The Year of Luigi?! This has been an amazing year for Luigi with a starring-role in a game, to challenging dlc that he's featured in, and we cannot forget about his dreamy adventure with Mario either, but it seems a bit early for the celebration to end so do you think that Nintendo will have one last surprise announcement to end the celebration this year? 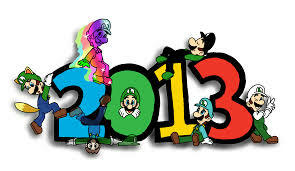 It might not release this year, but what would you like to see as the last hurrah of The Year of Luigi? And what do you think of our guesses for potential surprise announcements? Let us know in our comments! Re: AVGD: Do You Believe That Nintendo Has One More Surprise For Us Regarding The Year of Luigi? 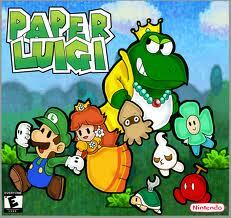 I like the premise of your Paper Luigi idea I would purchase that day one lol. It's been a while since the last feature! @Nepgear I agree with your post, furthermore I also liked the Super Luigi Galaxy speculated game as well. I'm holding out hope that there'll be an announcement for a new Luigi game at the end of the year, but doubt that it'll be released before April at the earliest. It's nice to see that you haven't stopped posting these exclusive features! I like this feature Rukiafan. Bravo that feature was amazing. All of those speculative announcements would be great ways to end the Year of Luigi on a high note! This was a good read. Would purchase Paper Luigi heartbeat. 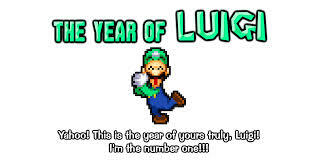 "Year of Luigi? Pfeh! Waluigi wants a year! Where's the Year of Waluigi? Waluigi wants a whole year of celebrating the best character in the Nintendo! With games such as Waluigi Bros., Super Waluigi Bros., Super Waluigi Bros.: The Lost Levels, Super Waluigi Bros. 2, Super Waluigi Bros. 3, Super Waluigi World, Super Waluigi World 2: Waruyoshi's Island, Super Waluigi Kart...basically every single game in which Luigi has ever been in, but with me instead of him! WAHAHAHAHAAAA!" Uh...ooookay then. Anyway, I enjoyed reading this feature. Who knows, there could be one last little surprise waiting around the corner to end the Year of Luigi with a bang...like, say, a Luigi-themed fireworks display in every country of the world? Superb article Rukiafan and well said. I too believe that a new announcement will be made by year's end. I think year still have more surprise too!